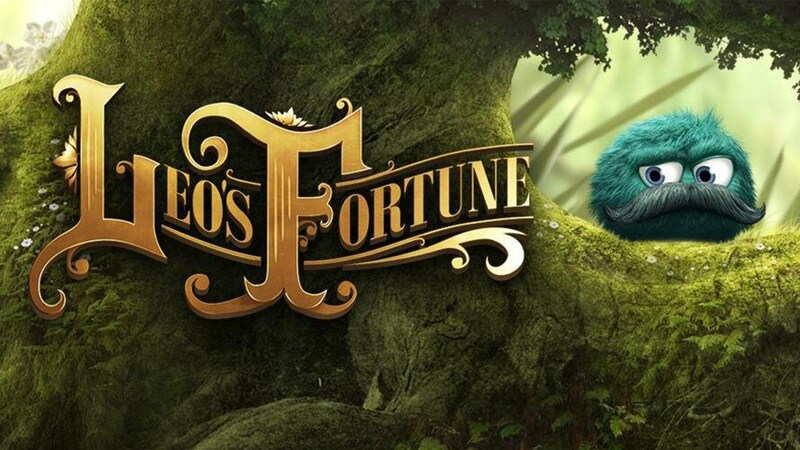 Leo’s Fortune was originally released by 1337 and Senri as a mobile game back in early 2014, but has since received a visual overhaul and released as an HD edition for the Xbox One, PS4, Windows, and OS X. Leo’s Fortune seems like a very stereotypical game at first glance as it is a side-scrolling platformer with puzzle elements, games which have flooded the app stores for quite some time. However, there are a few elements to this game that help to set it apart from the rest of the pack. The visuals in this game have been improved dramatically since its mobile days, with the landscapes and backgrounds looking absolutely stunning. It also helps that every one of the chapters in the game follow a very specific theme that give you plenty of eye candy to gawk at. One chapter has you traveling through a pirate-themed port town, while one of the other chapters has you traversing crumbling ruins in the middle of the desert. The detail paid to all of the traps and puzzles also help to elevate this game, with impressive giant pieces of machinery and spikes/saws that look suitably threatening and menacing. No matter what area you find yourself at in this game, the visuals never fail to impress. The audio in this game is very well done, with the music used throughout the game and story moments being suitably dramatic and mysterious. However, the most surprising part of the audio is the sound used for the protagonist’s voice. These types of games have a habit of giving their characters some extremely cartoony or childish voices, which makes sense since many of them are designed to be family-friendly games. While Leo’s Fortune is indeed a family-friendly game, I was very surprised to hear Leo’s voice come out as a very deep and mature Russian man’s voice. Sure, this may not seem like a big deal, but that voice actually added quite a bit to the experience, especially during the levels themselves when Leo would remark on the traps, or simply chuckle when successfully completely a more difficult segment of the level. The voice also provides an amusing contrast to Leo’s actual appearance, that of a very cute ball of fluff with a big bushy mustache. The gameplay in Leo’ Fortune is pretty standard fare for these types of games, with a few differences based on Leo’s body. Throughout the game you will need to make use of the fact that Leo can cause his body to expand or contract in order to either float through the air for longer periods of time, or if you need to slam down quickly. These mechanics are often used in some very creative ways, such as when you need to quickly stop yourself from falling down a narrow shaft in order to avoid a saw blade. In that situation, there will usually be a wider section in the chute that you can expand Leo so that he can fill the entire space and stop until the saw blade passes. The expansion mechanic is also used to lift items if you can get underneath them, or trigger some switches. The ability to slam down can help you get more height when jumping on a bouncy service, or to take you deeper into the water when you need to swim. Combine those mechanics with the physics-based puzzles, and you have a game that can keep you quite entertained. Unfortunately, that enjoyment is not going to last for very long as the game is quite short, a beginner to the genre can complete the levels in just a handful of hours. However, if you want to get every star on every level that is awarded for collecting every coin, not dying at all, and completing the stage within a certain time limit, you can greatly increase the amount of gameplay that you will get out of the game. This is mostly because the time limit and not dying stars are quite hard to get the farther you advance in the game. As a result, this game does quite well in delivering value as the game itself only costs $6.99 on the Xbox One. The plot in Leo’s Fortune is really not all that extensive, but it does a good job of introducing the various stages and other characters. The story starts off with Leopold the Golden, an inventor, discovering that all of his gold was stolen and that the gold was laid out in a bread crumb manner throughout the stages. Leo’s first instinct is to assume that one of his relative stole the gold, as each of them had suffered major setbacks in the past and they had not spoken to one another for years. This sets up the stages as each of his relatives were famous in their own fields, just as Leopold was a famous inventor. Cousin Victor was a famous treasure hunter whose ship had been lost in a storm, so his stage is a pirate port. Uncle Sergej was a famous trader and miner whose mine had collapsed, and as a result his chapter consist almost entirely in the mountains and in caves. While Leo’s aunt Olga had built numerous metal cities in the desert that had all been destroyed by a sandstorm, thus you spend her entire chapter roaming ruins in the desert. The storyline does get a bit deeper as you progress, mostly concerning the Apparatus (a giant statue that appears in the background as you progress through the various chapters) and the effects of greed. In the end, Leo’s Fortune is a fun and addicting platformer/puzzler that is suitable for gamers of all ages and experience levels. While the plot is fairly light, but the audio and visual aspects of the game more than make up for it. Finally, it is hard to beat the value offered by Leo’s Fortune when you consider the fairly low price point. Do you agree with our review? Do you enjoy these types of games? Let us know in the comments below.